Do you know what one of the best things about Netflix is? It lets you watch shows that have long since been canceled. Say there’s a show you meant to watch years ago but never did. Well tada, Netflix most likely has your back on that. I’ve recently been watching a show called Fringe, an excellent piece of sci-fi that I have really enjoyed. Fringe is sort of along the X-Files line plot-wise. It focuses on FBI Agent Olivia Dunham who gets called to a bizarre case. She learns about Fringe Science, sciences that were more science fiction but could potentially be made science fact. She gets permission to bring in the world’s leading expert on Fringe Science, Dr. Walter Bishop, who has spent the last twenty years or so in an insane asylum because of his work in the Fringe Sciences. In order to release him, she requires his son Peter’s assistant, who reluctantly agrees. The three of them, along with the amazing more-than-a-lab-assistant Astrid, they become a team and a family investigating Fringe events. The show starts as a story-of-the-week style with a small underlying plot point tying some episodes together. As the seasons go on, even though they keep the story-of-the-week, the plot that connects everything gets bigger and bigger until season five when it’s really the only thing driving the show. And I really enjoyed the story telling and how each story was told. I’ll admit, several things were obvious to me. For example, there’s a very important plot point teased in season one and fully revealed in season two. By the end of season one, I had figured it out, I just hadn’t figured out the full extent of the story. And I was thrilled when the full story was told. Even though I’d figured out the basics of it, I couldn’t wait for the reveal within the show. And that’s really what I love. Even if I can see something coming, I still very much anticipate the reveal of it. Another aspect I love is the characters. These four main characters truly become a family, which is one of my favorite tropes. But even with the side characters introduced, every single one is fully fleshed out, fully realized. Any show that drives itself based on it’s characters is wonderful. 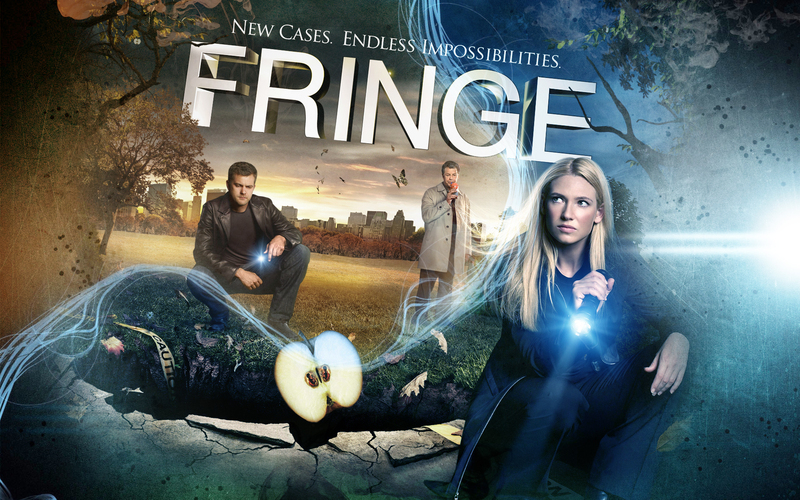 If you’ve been looking for good sci-fi, then Fringe is the way to go. It only had five seasons, but they are all so wonderful, each one building on the previous. Trust me, try Fringe out. It’s worth it.